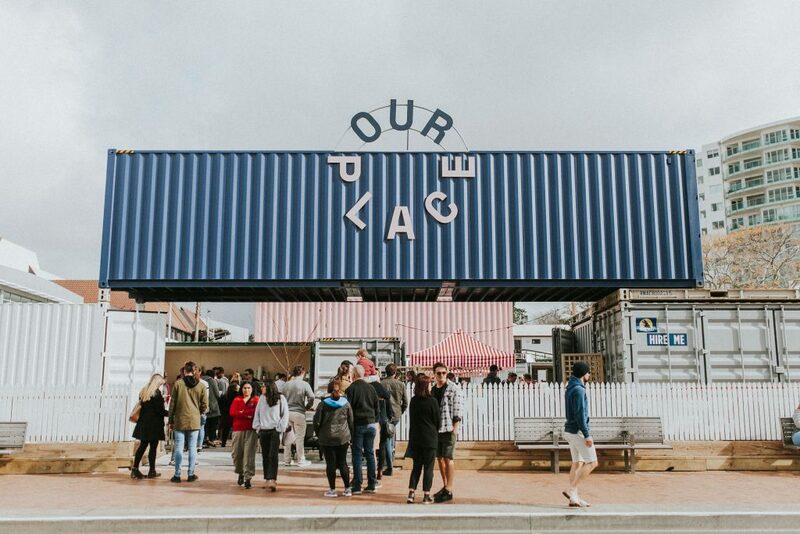 Known as Our Place Tauranga, the food, entertainment and social hub is made up of more than 30 containers that vendors have fitted out and made their own. Royal Wolf, Australasia’s largest supplier of shipping containers, worked with Our Place Tauranga creators Little Big Events and the Tauranga City Council on the planning, design, and engineering requirements for the forward-thinking community venue in the heart of Tauranga. The company, which specialise in the hire, sale and modification of shipping containers, supplied the containers for the project, including a mix of open side, standard, and pedestrian walkway containers. The 20 and 40-foot containers form the structure of Container City allowing individual tenants to fit out the containers and spaces as they want them. “For a project like this, containers are ideal because it means they can be adapted and fitted out to suit a tenant’s individual needs – be it for a café, a retail outlet, or an entertainment-meets- community space,” says Royal Wolf Executive General Manager Paul Creighton. Containers were chosen for the project because they are strong, secure and have an industrial chic aesthetic that suits a central city environment. Our Place Tauranga is already operational with the Tauranga Coffee Festival held in July and food vendors serving customers throughout the day. Creighton says the Tauranga project highlights the acceptance of shipping containers as more than just steel boxes that are used to transport goods. Little Big Events Director Chris Duffy says Our Place Tauranga taps into council’s Heart of the City campaign and it has already transformed the area into an eating and shopping destination. “The idea of Our Place Tauranga was to enliven and revitalise the inner city and it’s done that to the point where there is a micro economy establishing itself and locals are loving it,” he says. Royal Wolf has been involved in a number of similar projects, including the Underground Market on Wellington’s waterfront, the Queens Wharf retail and food village on the Auckland waterfront and Christchurch’s post-earthquake Re:START Mall. Creighton says the Re:START Mall was an example of how to create a vibrant public space out of containers. “It set a standard and showed how containers can be transformed into an efficient yet stylish hub with a diverse range of services on offer for members of the public,” he claims. Previous ArticleWhat can New Zealand learn from Australia’s plummeting house prices?